Getting married in Las Vegas is an unforgettable experience, not only for the bride and groom, but for friends and family as well. 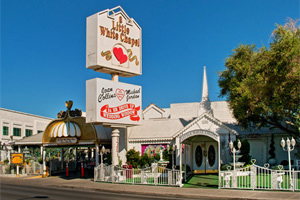 Considered to be the world’s premier wedding destination, Las Vegas is home to a variety of chapels and hundreds of people authorized to perform the most amazing ceremonies in the state of Nevada. Getting married in Las Vegas is an unforgettable experience, not only for the bride and groom, but for friends and family as well. Considered to be the world’s premier wedding destination, Las Vegas is home to a variety of chapels and hundreds of people authorized to perform the most amazing ceremonies in the state of Nevada. 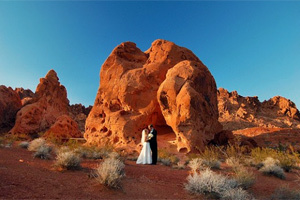 Below are some of the most spectacular places to get married in Las Vegas. 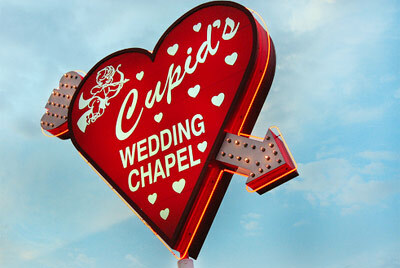 At the Stratosphere Casino Hotel & Tower you’ll find the fascinating Chapel in the Clouds. 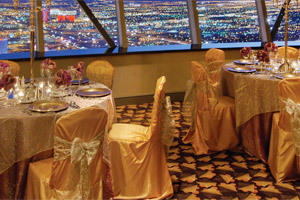 Choose from two modern chapels located on the 103rd floor that both offer spectacular views of the city of Las Vegas. Highly recommended for thrill seekers! 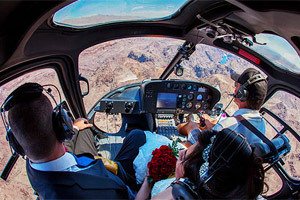 Say the most important "I Do" of your life up in the clouds as you enjoy an unforgettable experience aboard a helicopter. You can bring a limited number of guests along for the ceremony, or have your official ceremony on the ground and say your vows while flying. Here you can have a traditional wedding at affordable rates. 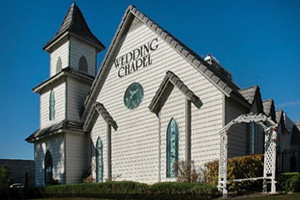 This chapel offers limousine service and includes an Elvis impersonator. It is ideal for intimate ceremonies, and can accommodate up to 30 guests. Have your wedding outdoors at this exclusive property, a recipient of WeddingWire's Brides Choice Award (2009-2012), and let the beautiful landscape of the Nevada desert serve as the setting for your ceremony. During your honeymoon you can take advantage of the wide variety of activities offered in the region. It’s hosted celebrity weddings and has been featured in magazines, movies and television series. When you get married here, the ceremony will be broadcast online for your friends and family who aren’t able to attend the celebration. There are five different chapels available and a variety of packages to suite all tastes and budgets.